I recently returned from another amazing weekend in Wisconsin and my body is covered in bruises and mosquito bites, but that is a story for another time. 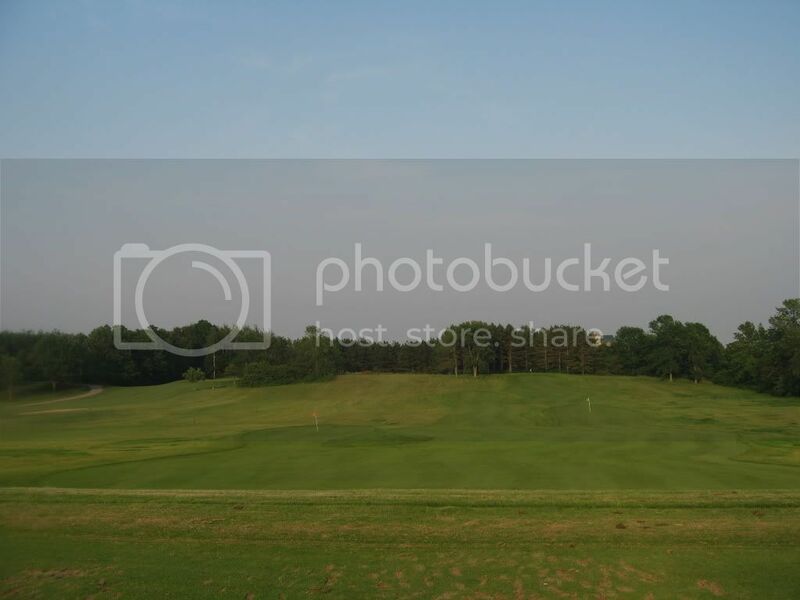 Wisconsin Part 1 still has unfinished business - the driving range/golf course! in Valders, WI is the polar opposite. Which is exactly what I needed. It was sunny, hot, and a bit humid, but still enjoyable. 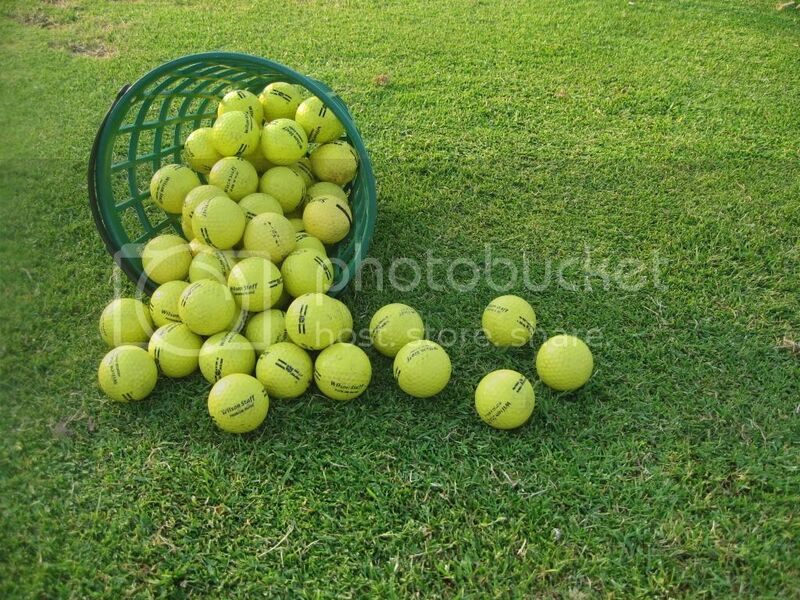 We rolled into Autumn Ridge, got 2 large buckets for $12 (nice), a drink to-go (nicer), and hit the range. Which was empty. Empty range, oh yes! No one to see the mad golf skillz I don't yet possess. Yet. I don't know if it was the peaceful setting, B's instruction, sunlight, or the $3 vodka lemonade in that styrofoam cup, but I feel like round 2 at the range for me showed massive improvement. There's something satisfying about sending a golf ball soaring through the air. Now if I could just do that a little bit straighter (they veer left for some reason) and a lot more consistently, maybe I will muster up the guts to try a few holes in the near-ish future...or sign up for a lesson. Besides the sweet range experience, I also spent an even sweeter morning riding in the cart for the back 9 holes watching others play. The weather was perrrrrfect and I passed most of the time reading my book in the shade of the cart. While I realize this may not be an option if I were actually golfing, it was a very enjoyable outing, which also involved trying my hand at putting. 2 strokes. Booya. After experiencing 9 holes via cart, it made me realize yet another reason why I am newly fascinated with golf: the social aspect. A lot of adult recreational sports are "social," but few require you to spend 4 quiet hours with a small group of people. I see this as a being a potential incredible bonding experience. A genius networking experience. Or an excruciatingly painful experience if paired with unsavory characters or the type of people that are known as "that guy." I suppose you need to choose your golfing companions like you choose your friends. 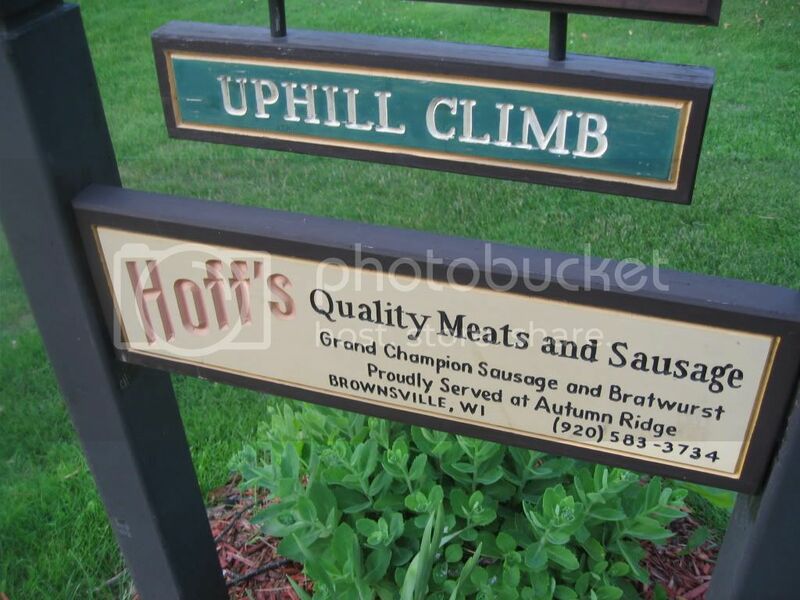 And overall, it may be an uphill climb, but at least quality meats and cheeses are waiting for you at the end.